Fitness and dieting have become core components of our culture, with the growing markets infiltrating our lives with weight loss fads, diet supplements and intensive exercise routines. When given the option to obtain information regarding helpful hints to burn additional calories, a majority of people would probably not turn the opportunity down. Fitness and dieting have become core components of our culture, with the growing markets infiltrating our lives with weight loss fads, diet supplements and intensive exercise routines. 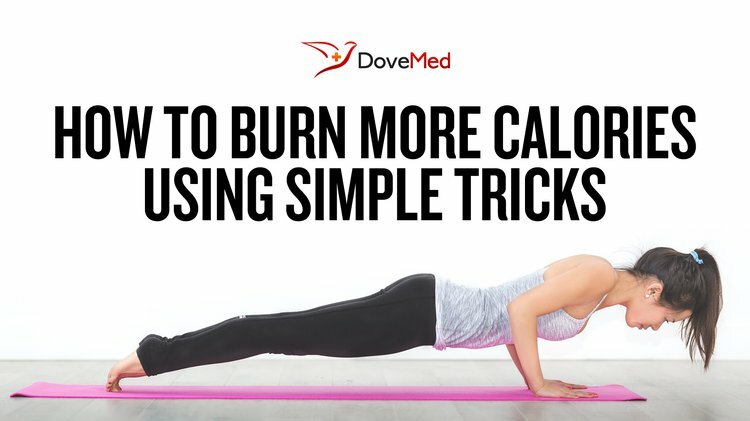 In absence of these new tactics, burning extra calories by integrating simple tricks into our already established diet routines is feasible. Compared to drinking a lukewarm water bottle, cold water infused with ice cubes can aid in shedding unwanted fat by raising your body temperature. The body expends more calories to keep it warm, known as thermogenesis, which overtime can cause weight loss. Protein also plays a role in increasing metabolism. Protein’s high amino acid content poses a threat to the body, as they require more energy to fully digest. After some time, the body will start to use energy from its fat stores to aid in amino acid breakdown and in turn burn more calories. A 2004 study in The Netherlands gathered data that suggests that protein is a main determinant in diet-induced metabolism, and it has a key role in body weight regulation. Examples of high protein foods that can help with cutting weight include beef, fish, chicken, beans, tofu, nuts, and egg whites. Research has had debated against the positive and negative health effects that coffee has on the human body. Some research has suggested that consuming caffeinated foods may actually aid in fat burning. Caffeine raises body temperatures, suppresses appetite, and revs up the metabolism. The long-term effects of this tactic, however, are yet to be determined. Therefore, caffeine should be limited to short-term consumption. A common component of many spicy foods is the substance capsaicin. The spicy and hot taste you experience is mainly due to capsaicin. An Australian study in 2006 discussed capsaicin’s ability to stimulate metabolism and thermogenesis (heat production) for more than 20 minutes after intake. If incorporated in significant amounts taken over time, capsaicin could work to burn bad fat from its stores. This may seem obvious, but the best way to burn more fat is to consume less of it. Eating slower allows for your stomach to send signals to your brain that you are full long before you consume more than you need. This process can take 20 minutes and substantial overeating can occur before this stage. Using these simple tricks, you can make small strides to increasing your energy expenditure, and in turn fat loss. Talk to an expert to determine if additional small manipulations to your current dietary routine are necessary to experience these effects. In addition to regular exercise and a controlled, balanced diet, your body could experience these effects at optimal levels. Westerterp KR. Diet Induced Thermogenesis. Nutr Metab. 2004;1(1):5. Ahuja KD, Robertson IK, Geraghty DP Ball MJ. Effects of chili consumption on postprandial glucose, insulin, and energy metabolism. Am J Clin Nutr. 2006;84(1):63-9. Kämpfen, F., & Maurer, J. (2016). Time to burn (calories)? The impact of retirement on physical activity among mature Americans. Journal of health economics, 45, 91-102. Cunningham, E., & Marcason, W. (2001). Is it possible to burn calories by eating grapefruit or vinegar?. Journal of the Academy of Nutrition and Dietetics, 101(10), 1198. Colmenares, C. (2005). No joke: Study finds laughing can burn calories. Reporter: Vanderbilt University Medical Center’s Weekly Newspaper, 10.